The first piece performed this evening was Flammenschrift (2012) by French composer, Guillaume Connesson, opens up very much in the dramatic, iconic style of Beethoven’s Fifth Symphony, in an intended homage to Beethoven. This piece felt very much like a movie score, with themes shifting from very light and bright to feelings of trepidation and building tension. This was a fast-paced piece of music featuring the first chair violinist, and concertmaster, Otto Derolez. His playing is lyrical and effortless. The playbill describes this piece as “a work in praise of Beethoven, although the music does not offer any direct quotes by Ludwig.” It goes on to describe it as springing “forth with fervent energy on a mission. We might even guess a film score was at hand.” As noted above, this film score tone was evident from the beginning. Flammenschrift grabbed me from the outset and was the standout piece for me in tonight’s program. It had a very different feel from other classical pieces I’ve heard. It was so energetic, with only a brief respite in the middle, almost like being in the eye of the storm, before it all came thundering back in for the finale. Perhaps this different feeling stems from the fact that the composer, Connesson, was born in the 20th century so his influences are broader. Alternatively, it may be because it borrows on themes from familiar composers such as Beethoven, Stravinsky and Wagner. Either way, highly entertaining. The second work performed was Violin Concerto No. 1 in G minor, Op. 26 (1866), composed by Max Bruch. This work, which featured a solo by violinist, Nikolaj Szeps-Znaider, was the only non-French composed piece performed tonight, and the only piece from the 19th century in the program. It made for a nice balance. Violin Concerto No. 1 in G minor was bold and brash, yet elegant. The solo was a beautiful crescendo, an evolving love story. It felt bright and light. The finale evoked feelings of a race or horses thundering across a field in a hunt from the Victorian era. The playbill notes this concerto, “features a masterful blend of lyric and dramatic elements … [The final movement] has a bold and martial spirit and is energetic in character … it requires continuous virtuosic execution by the soloist.” In my opinion, this spirit was absolutely present and executed perfectly. After a brief intermission, the orchestra returned to perform Bacchus et Ariane, Suite No. 2, Op. 43 (1930) by composer Albert Roussel. The work is based on a story by French novelist, playwright, essayist and writer, Abel Hermant. It sounded like being lost in the woods with all the uncertainty, worry, and adventure that comes with that scenario. It evolves into the delight and relief of being found, turning excited and hopeful. Like finding someone to keep you safe. The themes in this piece conjure images of high levels of danger, something akin to a duel ensuing with brief rests where it almost sounds like birds in the trees on a spring day. This piece is filled with ear worms; I’m still humming them in my head when my mind wanders. The the danger returns for a rollicking finale. Roussel’s writing for Bacchus et Ariane has been called “melodic and harmonic” with “a genuine user-friendly feel, confirmed by the continuing popularity of this score in concert halls around the globe.” The original piece was written as part of a ballet, in two acts, telling the story of Bacchus and Ariane, figures from Greek mythology involved with Theseus and the Minotaur. The audience was treated to an encore, a reward for being such an “inspiring audience.” It was was an exuberant performance of the “Farandole” from Bizet’s L’Arlesienne Suite No. 2. This was thoroughly enjoyable; a perfect accompaniment to the evening’s fast-paced program. The two-hour performance was by the Brussels Philharmonic was an enthralling ride, a truly engrossing experience for the ears. The selections each had a driving energy to them, not a hint of rest for the musicians or the audience. It goes without saying that each piece was exceptionally well-executed. Mssr. Denève’s energetic conducting style parallels the music performed so well, without ever detracting from, or overshadowing, the music or the orchestra. I found it purely delightful to watch him at his craft. 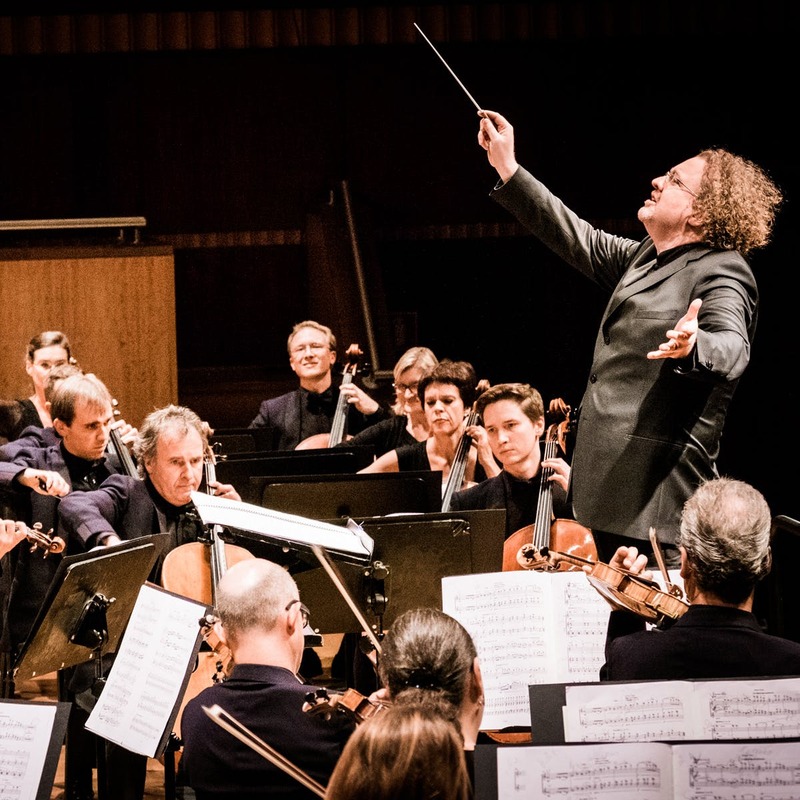 This was the Belgian orchestra’s New York debut and I, for one, cannot wait for their return. If you have a chance to see them in person, run, do not walk, to the concert hall. ** This article was updated on March 22, 2019 to correct the name of the Philharmonic’s first chair as well as correct the piece in which Nikolaj Szeps-Znaider performed his solo. For more information on the Brussels Philharmonic, please go to https://www.brusselsphilharmonic.be/en/. 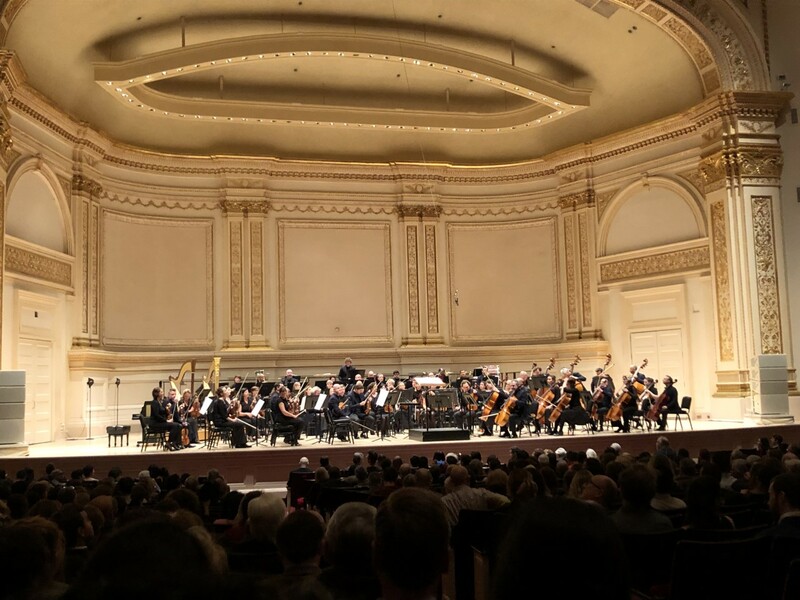 For more information on Carnegie Hall, please go to https://www.carnegiehall.org/. What a superb Review of the Brussels Phil. 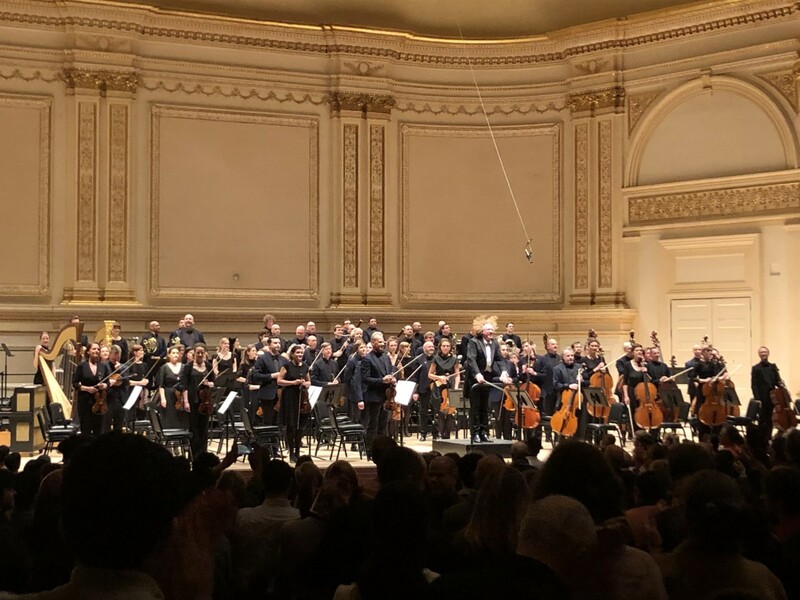 Carnegie Hall Debut Concert….We are the very proud Australian relatives of one of the wonderful Violinists -Sayoko Siobahn Mundy- and it has been been an absolute delight to read all the Reviews for this Tour. We wish this talented Orchestra under Conductor Stephane Deneve continuing success in their Concerts home and abroad. Previous Previous post: Movie Review: Captain Marvel – Does It Go Higher? Further? Faster?